And just like that, we successfully completed Whole 30! I feel like the month flew by! I quite enjoyed the challenge. It made me stop and think before mindlessly shoving food in my mouth. *Our new obsession with homemade cashew creamer (recipe HERE). *Lower sugar intake– for instance, when sugar can be avoided, we will do so! That means reading labels. Things like almond milk, peanut butter, & salad dressing with sugar as an ingredient get a big HECK NO! *Ice cream will be a luxury and not a nightly occurrence. *I’ll have healthy snacks & desserts ready to eat so we’re not inclined to eat sugary snacks & desserts. *I love a good glass of wine at night, so unless I’m pregnant or nursing, I will indulge. *Planning for the week is necessary. Here is a shot of our fridge set up for a week of deliciousness! 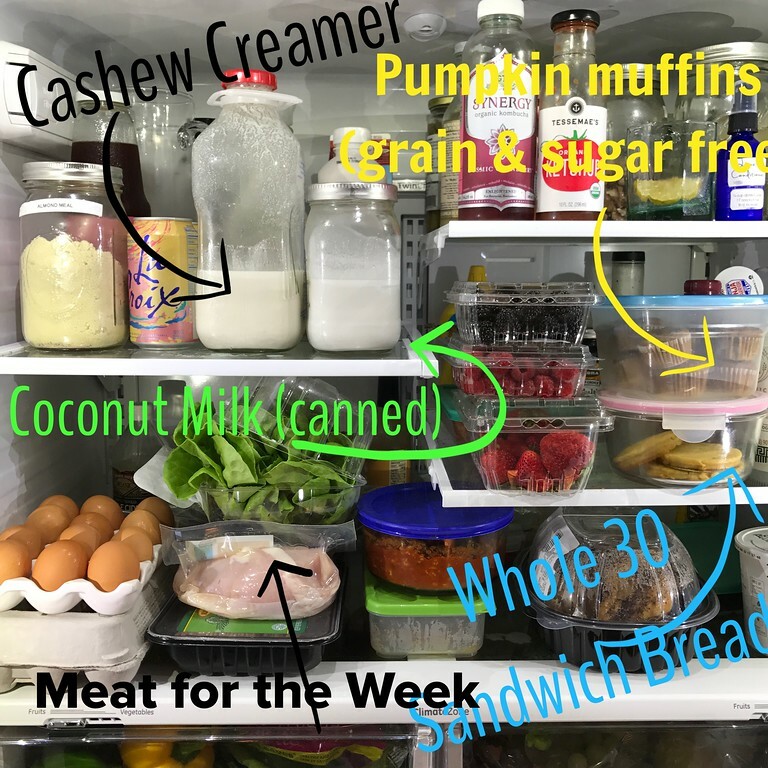 I will continue the meal prep over the weekend so our weeknights are easy, especially with school starting in a few weeks! 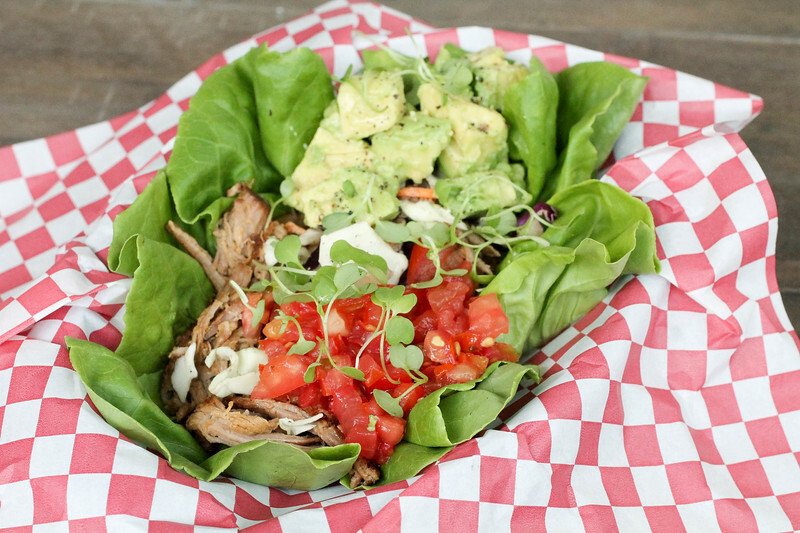 And now, our final week of meals (here are weeks ONE, TWO, and THREE)! It was a great month of recipes. 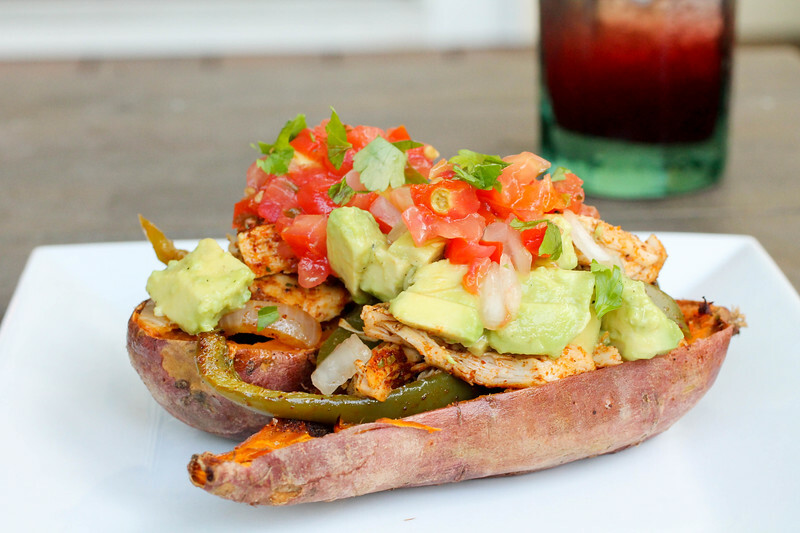 We will keep a lot of these meals for dinner ideas because we really enjoyed them! 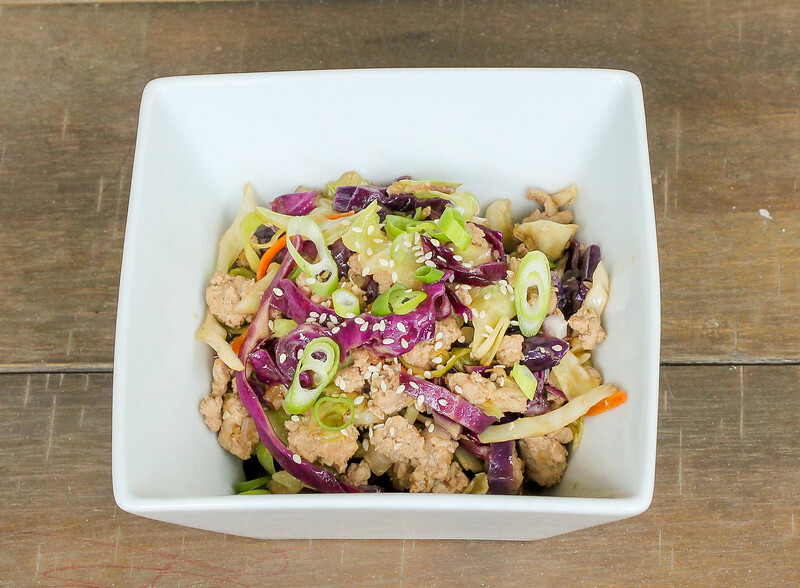 Sunday: Egg Roll in a Bowl (Thanks Rachele!) This was a great one! We left out the mayo and it was just as tasty. 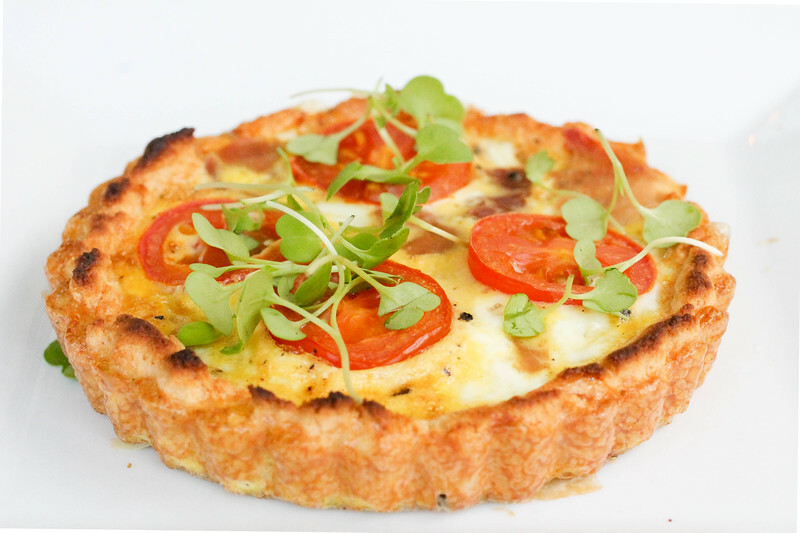 Friday: Egg Frittata Tart (tart recipe below. I just followed the recipe and pre-baked the tarts earlier in the day. Then when we were ready for dinner, I whisked 4 eggs, salt & pepper. Filled the tarts. Topped with prosciutto and tomatoes and baked for about 8 minutes at 350*F until the eggs were firm.